Upon receiving the Acceptance of the Precept ceremony (called Gojukai), you may get your own Juzu beads. 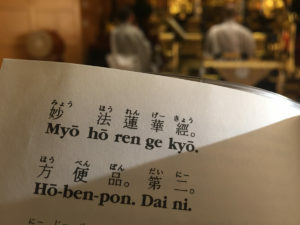 In Nichiren Shoshu Buddhism, the prayer beads receive the “Opening of the Eyes” ceremony which is performed by the Chief Priest. 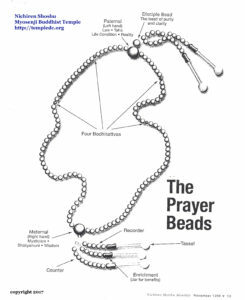 If you choose to purchase beads online, verify that the prayer beads match the description of the prayer beads in paragraph 2 below, specifically white cords and tassels. 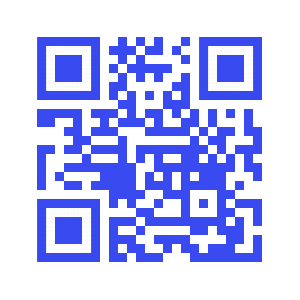 You can request the Opening of the Eyes ceremony at the Temple. Juzu beads are also available at our Temple bookstore. 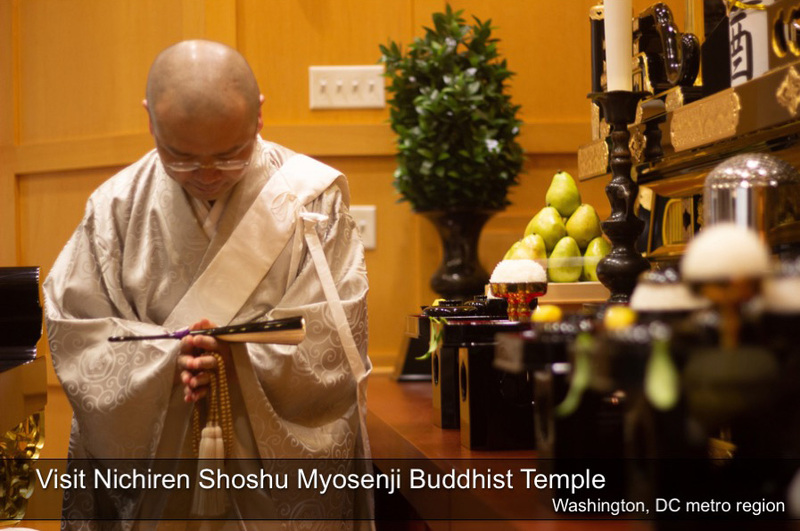 In Nichiren Shoshu, our prayer beads consist of two long strands joined at either end with two large beads. Hanging from the outside of these large beads are two shorter strands on one side, and three on the other. They are strung with white braided cords with white pompom tassels at the end. These sets of two and three strands are equidistant and opposite from each other. The two large beads are called the father and mother beads. Both of them represent the Buddha. Between the father and mother beads are 108 beads of a smaller size. These beads represent earthly desires. There are also four smaller beads. They are opposite each other, two being seven beads away from the end with two strands, and the other two are fourteen beads beyond the first two. These four small beads represent the four leaders of the Bodhisattvas of the Earth — Jogyo (Superior Practice), Muhengyo (Boundless Practice), Jougyo (Pure Practice), and Anryugyo (Unwavering Practice) — and also indicate the four virtues of the Buddha’s life. These are eternity, tranquility, true self, and purity. Directly under the father bead, which is at the end with two tassels, is a smaller bead. This represents the essential nature of the Law, the eternal, absolute truth. Because of their profound significance, you should treat your prayer beads with respect, just as you would the Buddha. To understand the meaning of the beads is to begin to understand the profundity of Buddhism, the correct practice, and the reason for expressing gratitude to the Three Great Secret Laws and the three treasures. For more information and details on the Juzu beads, read pp. 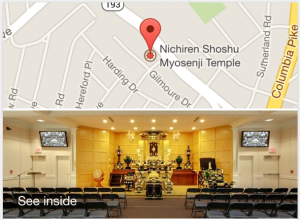 48-53 in the book, Nichiren Shoshu Basics of Practice.